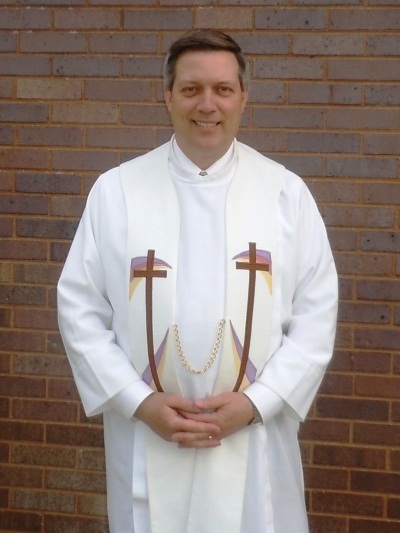 Pastor Rodney Warnecke is a pastor at St. John’s Lutheran Church in Watertown, Wisconsin. He was installed in May of 1998. Pastor Warnecke and his wife, Mary, have three children, Bethany, Darin, and Philip. Mary teaches piano lessons at St. John's School and Luther Preparatory School in Watertown. He grew up in Hokah, Minnesota (by LaCrosse, Wisconsin). He attended Onalaska Luther High School. After four years at Northwestern College in Watertown, Wisconsin, he attended Wisconsin Lutheran Seminary in Mequon (Thiensville), Wisconsin. His vicar year was spent at Trinity Lutheran Church in Bay City, Michigan. After graduation in 1986, his first call sent him to Messiah Lutheran Church in Shiocton, Wisconsin. There he was pastor for twelve years and also held numerous district and circuit positions until May of 1998. Pastor Warnecke is hard working and has your spiritual care as a priority as a pastor at St. John’s.